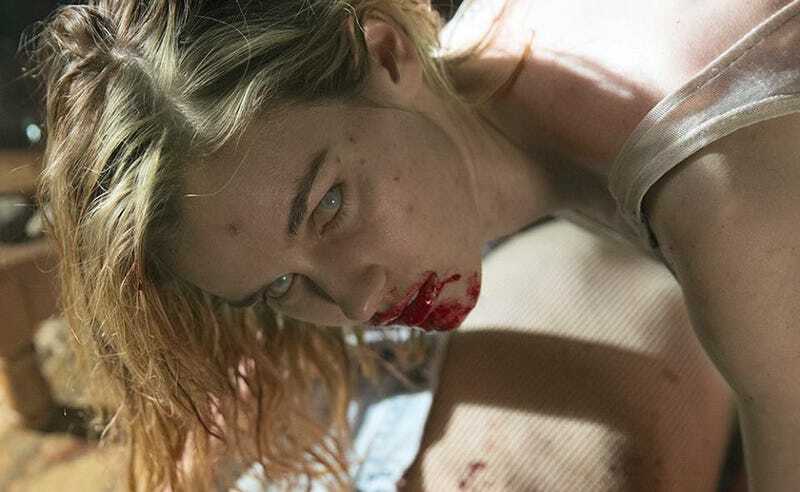 This Week's TV: Fear the Walking Dead Reveals How the Zombie Apocalypse Began! Kim Dickens battles a zombie horde in LA the series premiere of the Walking Dead spinoff Fear the Walking Dead. Astronauts Wives Club and Killjoys end their first seasons, and an Autobot created by fan committee makes her animation debut! All on This Week’s TV. Weird Al’s animated reign of terror continues on Disney XD. Lydia deals an exemplary open-hand strike! This episode is the “Frightful Fiction Challenge”, where the contestants mash up literary classics with spooks and ghouls. Sort of like Graverobbin’son Crusoe, or Franny & Zooey Meet the Wolfman. Well, it’s cramped and awkwardly framed, but they filmed that clip on a real boat! Have to respect Zoo’s level of authenticity for their Massachusetts killer rat episode. Hey: sometimes I forget I have a sister, too. Windblade, the first Autobot built by fan committee makes her animated debut! The Drax episode! Remember to tune in an hour later for the second half of the short! This one’s called The Creeping Doom. So it’s like Flowers for Donatello, or DONNI∃. Series premiere! Outbreak! Kim Dickens! Zombies! Thrill as a new crop of undead subsume its limping antecedent series. This ain’t your creepy uncle’s Walking Dead. Nay! ‘Tis FEAR THE WALKING DEAD. And it. Will. Freeze. Your. Blood. And then watch “Reunion”, episode 5x09!